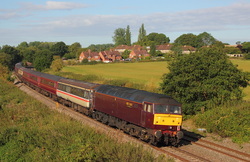 ​ 47580+47746 1Z31 12.03 Carnforth to London Victoria. 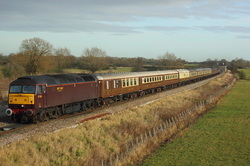 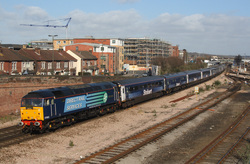 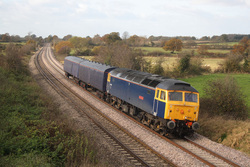 47813 +442 No. 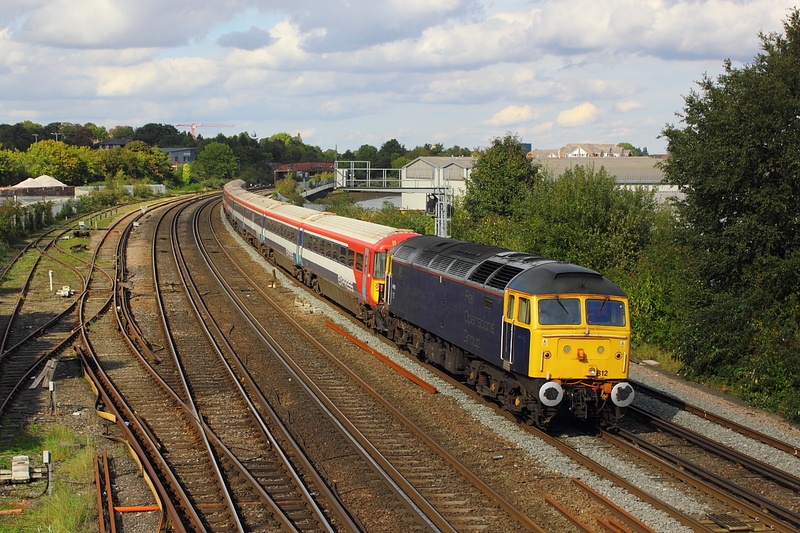 2422 5O86 Ely Papworth to Bournemouth T&R.S.M.D. 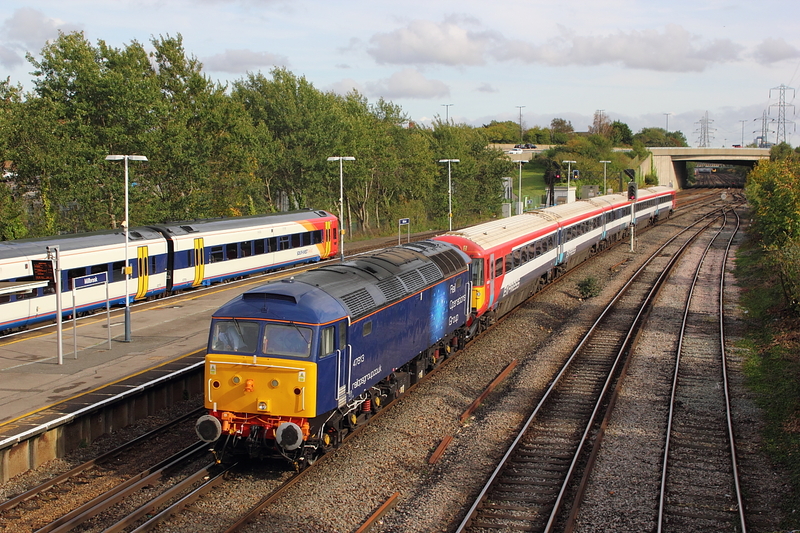 47812 +442423 +442415 5O86 Ely Papworth sidings to Bournemouth T&R.S.M.D. 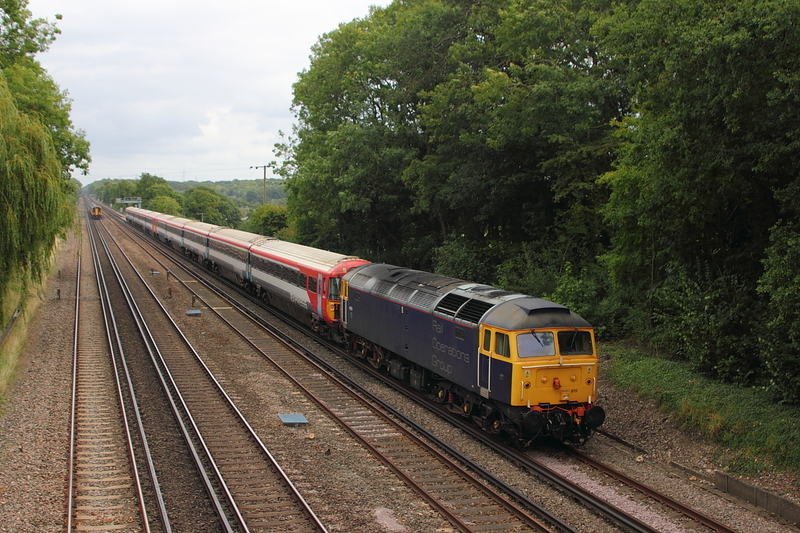 47815 + 442404+ 442409 5O56 Ely Papworth to Bournemouth T&R.S.M.D. 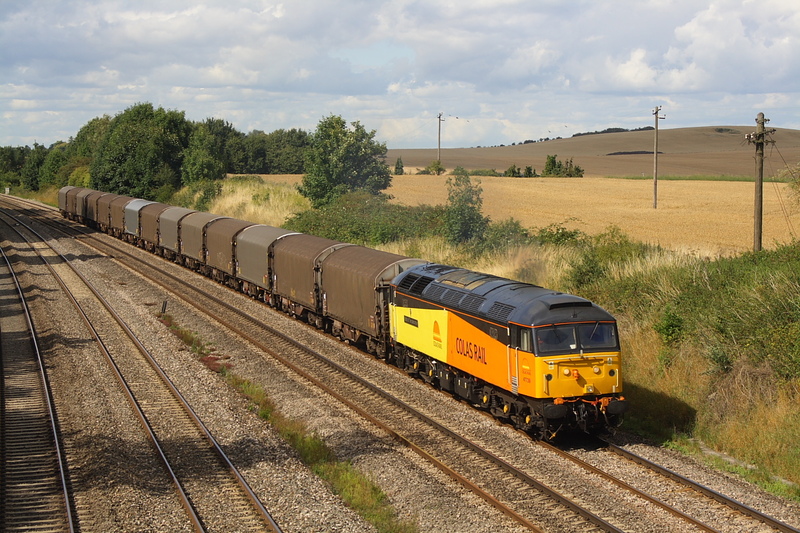 47812+442416 5O86 09.06 Ely Mlf Papworth sidings to Bournemouth T&R.S.M.D. 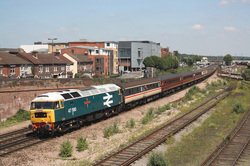 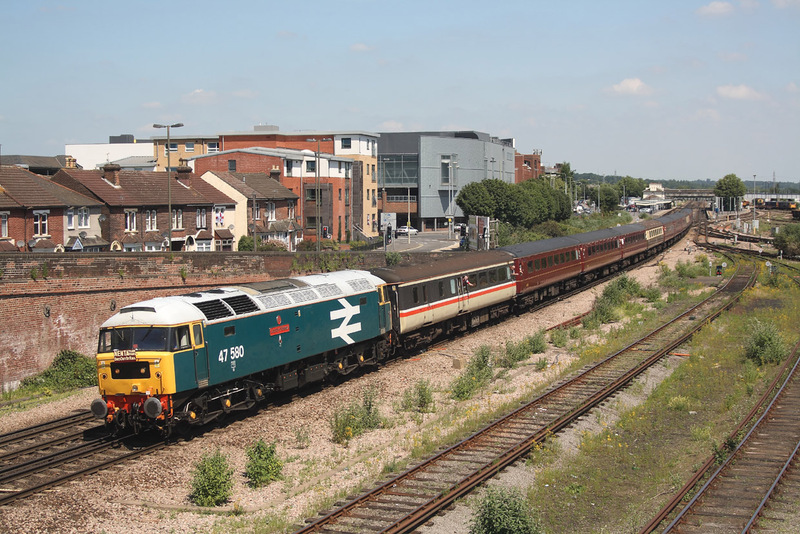 I have not done this shot ,with Whitchurch station in the background since the days of locohauld on the route,and in this time a mast and new road bridge ave appeared,however the shot is still on,and proved ideal for 5Z40..09.55 Bristol Kingsland Road to Southall ECS,hauled by 57314 with 34046"Braunton" tucked behind loco. 47790"Galloway Princess" leading on 1Z47..06.16 Doncaster to Bath Northern Belle. 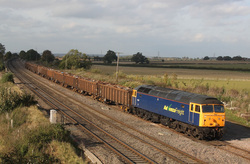 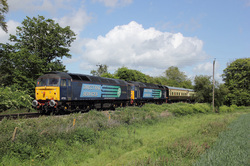 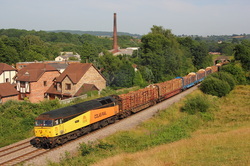 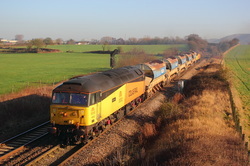 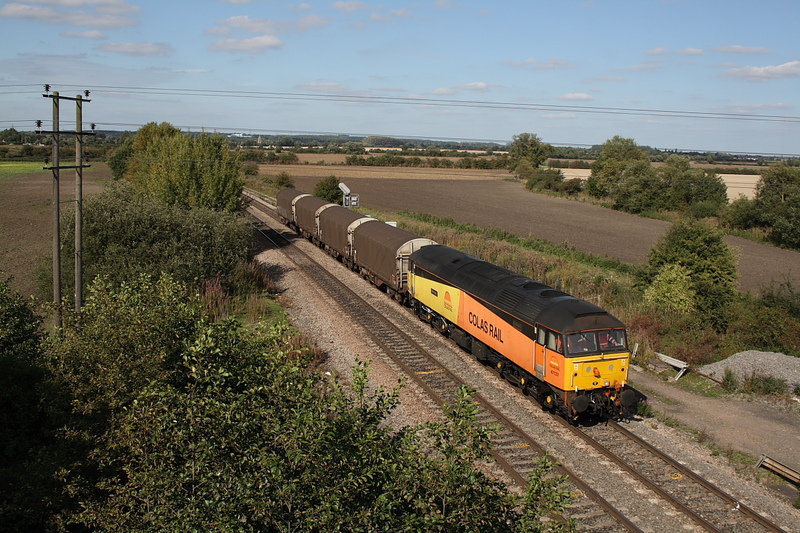 Colas pair,47727"Rebecca" TNT 47749"Demelza" on 6Q70..12.03 Westbury yard to East Somerset Jnct. 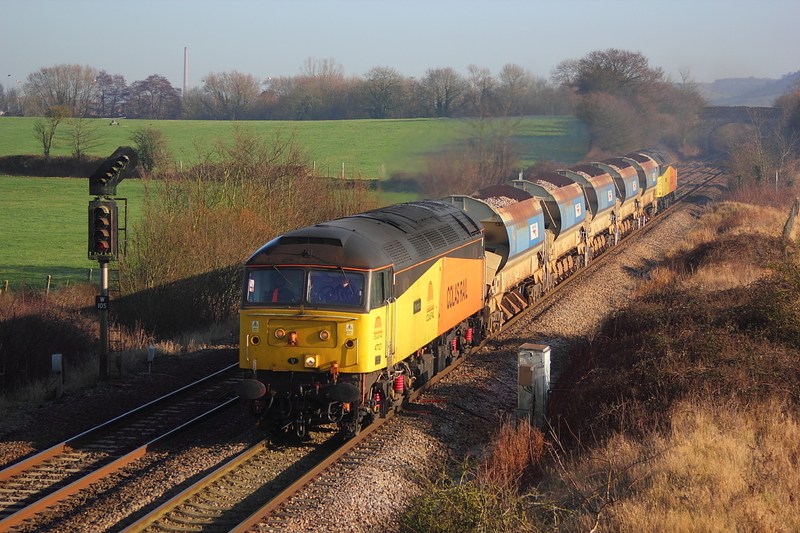 loaded ballast. 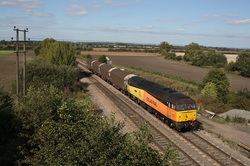 Colas pair,47727"Rebecca"TNT 47749"Demelza" on 6Q70..12.03 Westbury yard to East Somerset Jnct. loaded ballast. 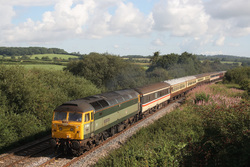 Hav'nt done too much lately,but having to go to Swindon anyway,i decided to have a crack at the tanks and the Bath and Bristol Statesman,seeing has how the BBC forcasted a cracking day,but as usual this was far from accurate as a build up of cloud thwarted any attempt off B33,BUT 57001,did manage to pass Shrivenham before the cloud rolled in,working 1Z90,The 06.20 Preston to Bristol Temple Meads,christmas market trip. 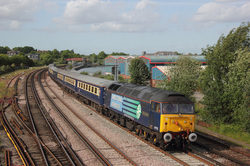 26/06/10 Cambell Road,Eastleigh..47580"County of Essex",1Z74..05.18 North Walsham to Swanage,Nenta railtour. 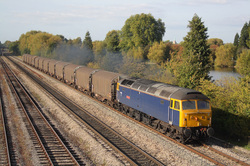 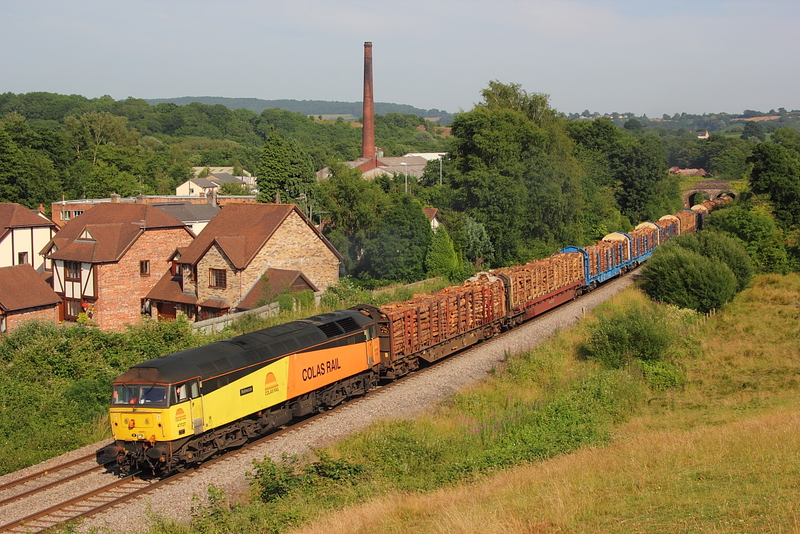 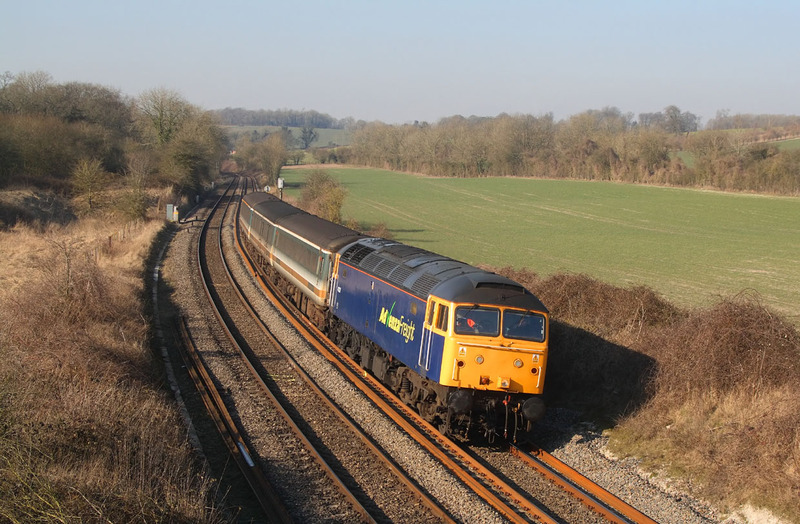 Hired in 47805"Talisman"+ex Virgin's 47769"Resolve" pass Hinksey on the Colas operated 6Z48 Burton on Trent to Dollands Moor steel empties. 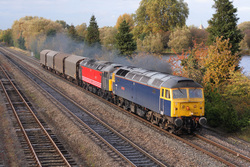 Hired in 47839"Pegasus" on Colas operated 6Z48 Burton on Trent to Dollands Moor. 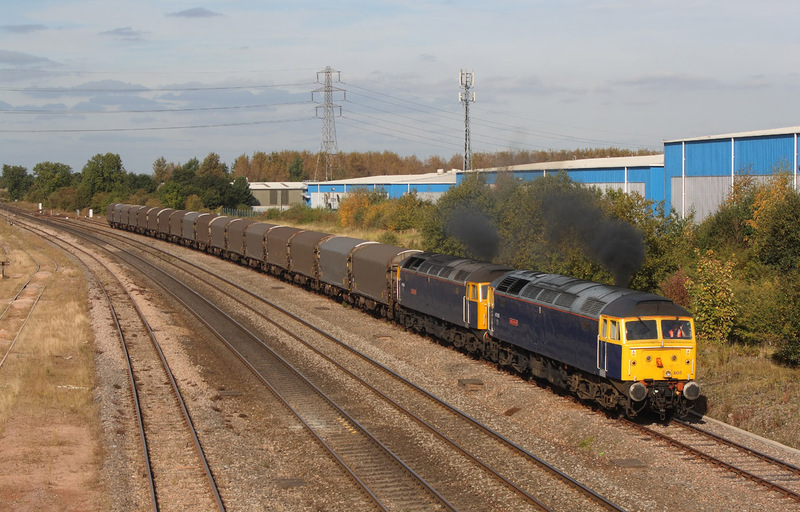 47805"Talisman"+47839"Pegasus",6Z48 Burton on Trent to Dollands Moor. 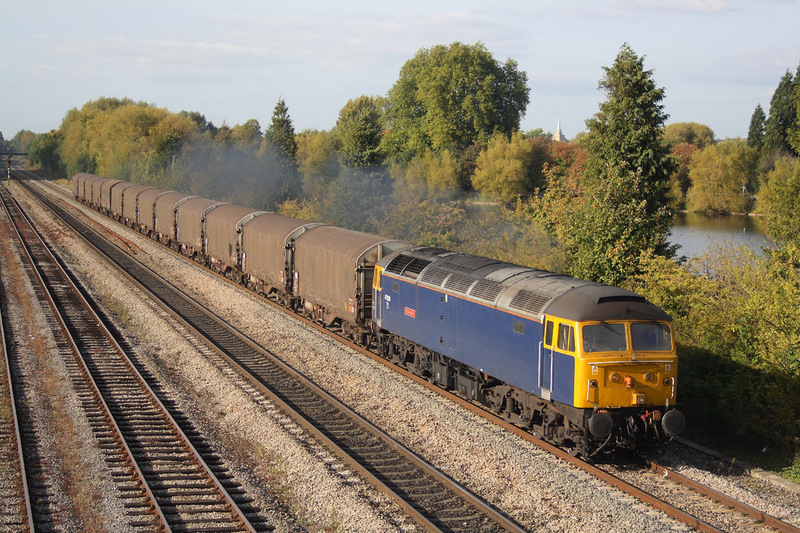 With the location at Didcot North so overgrown now,it needed a short train ,and this fitted the bill nicely. 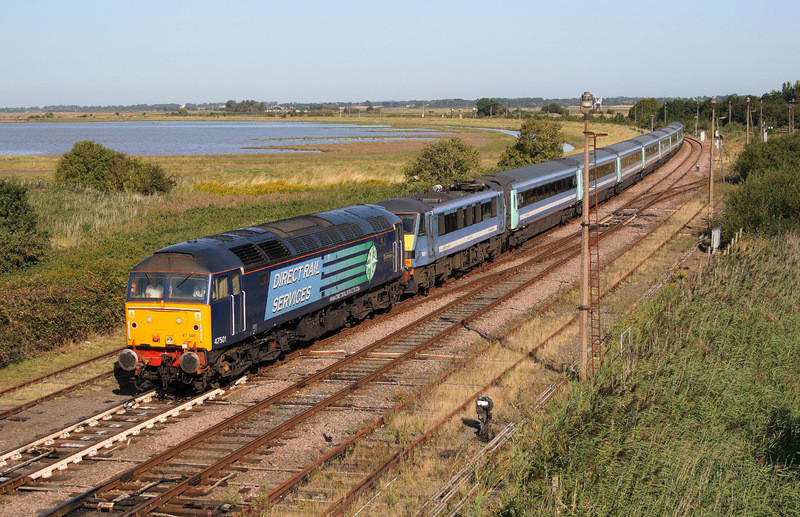 Having failed in the morning,47501"Craftsman", now repaired passes Postwick with 82132 on the 16.02 Great Yarmouth to Norwich,substituting for a DMU. 47501"Craftsman" backs onto 82127,sitting at Great Yarmouth,which will form 1V29 ..10.08 to Norwich and London Liverpool St.
47501"Craftsman"+90011 DIT,approaches its destination at Great Yarmouth,with 5V29 ECS from Norwich Crown Point,which will then form 1v29,the 10.08 return to Norwich and London Liverpool St.
47832"Solway Princess"+Stoneblower DR80211,6Z47 Ashford Yard to Newton Abbot. 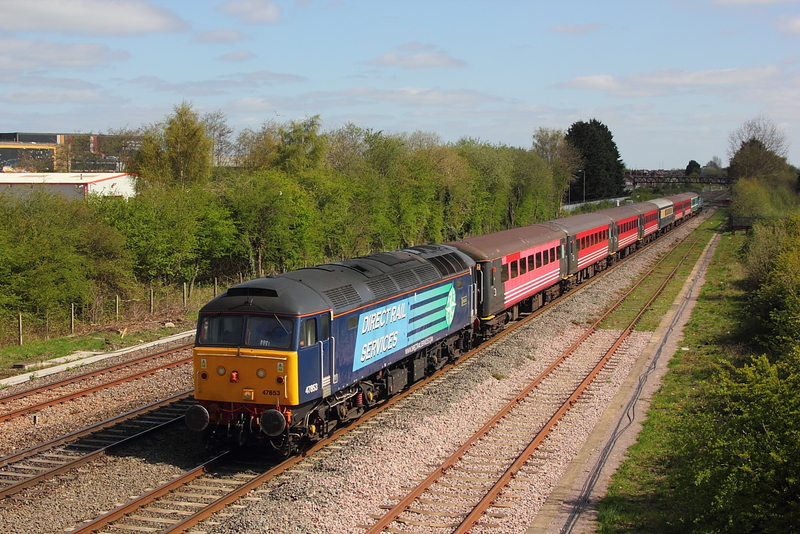 West Coast's 47245 DOR of 1Z82..Waterloo to Gloucester,the Cathedrals Express,hauled by "Sir Lamiel"
In a breif sunny spell,Advenza's 47237 trundles down the loop at Elford on 6V95 Stockton to Cardiff Tidal scrap metal. 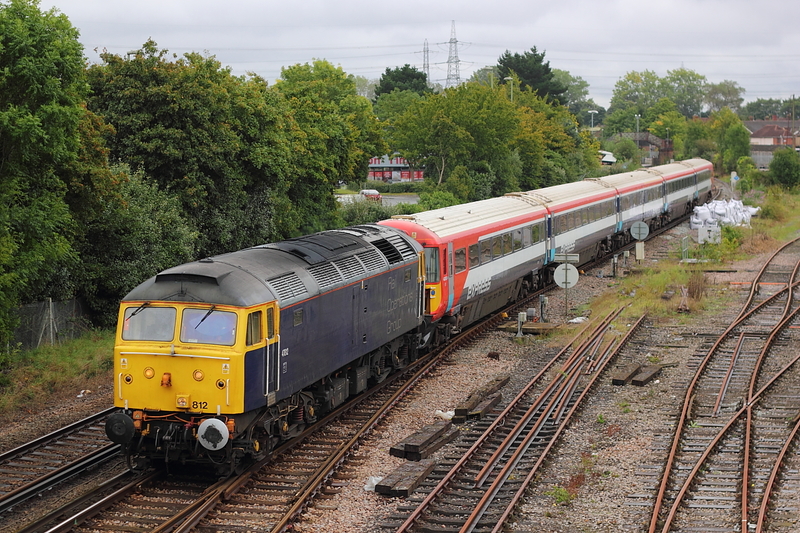 47851"Traction Magazine" with 47826 on the rear of 1Z25..04.20 Norwich to Plymouth. 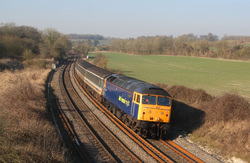 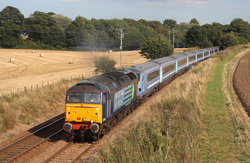 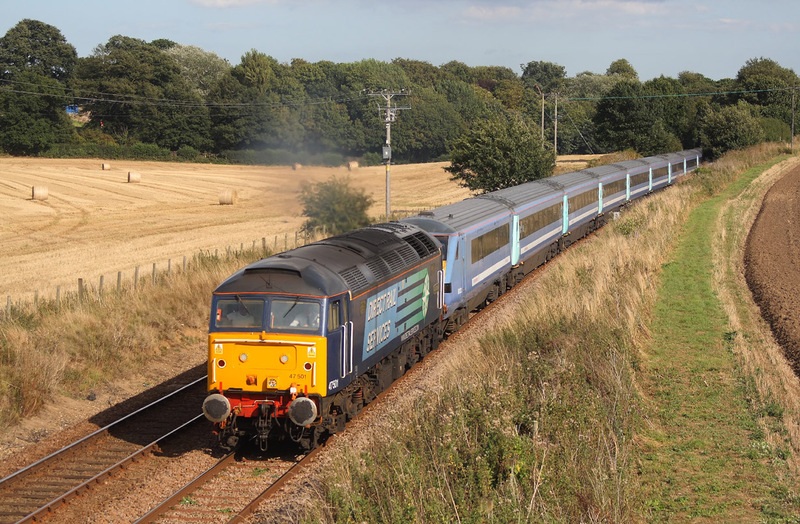 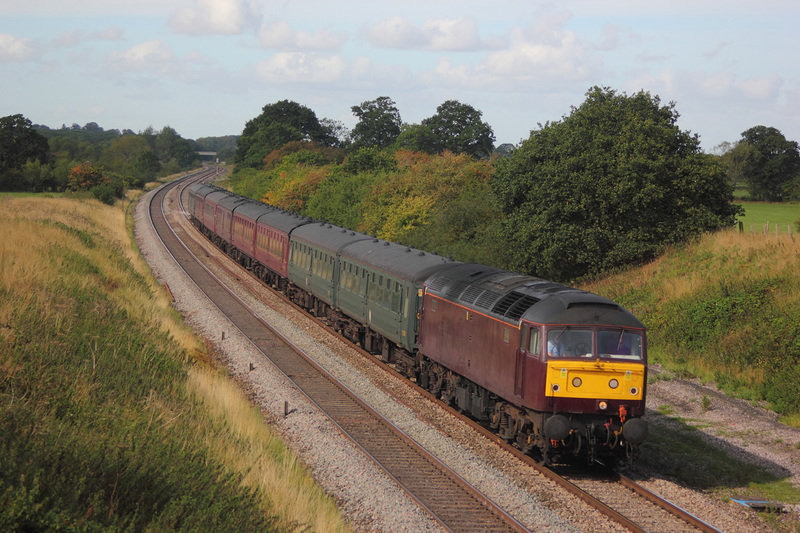 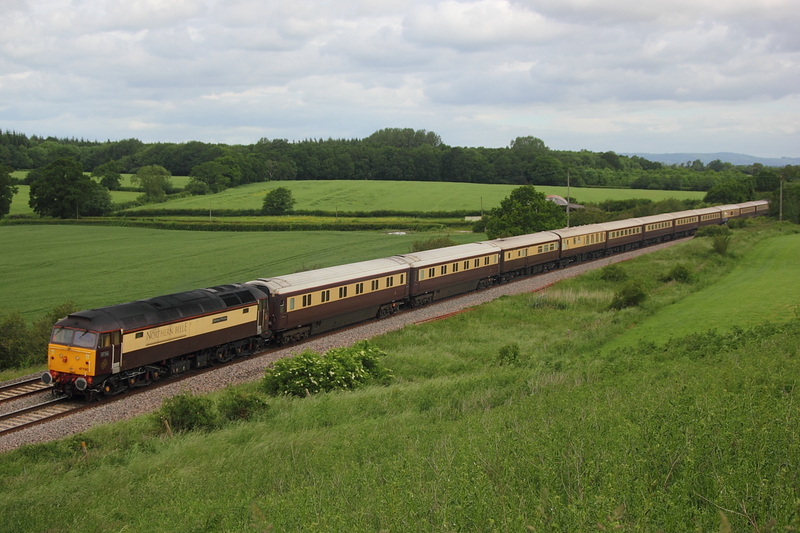 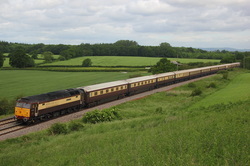 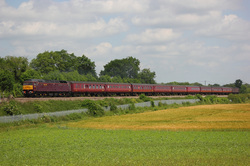 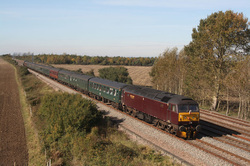 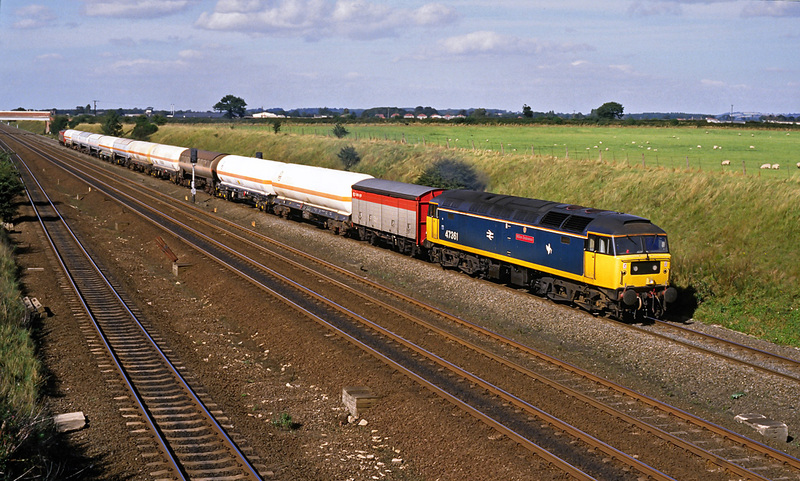 47802"Pride of Cumbria",with 47712 on the rear of 1Z86,06.38 Northampton to Weymouth,The Thomas Hardy Circular tour. 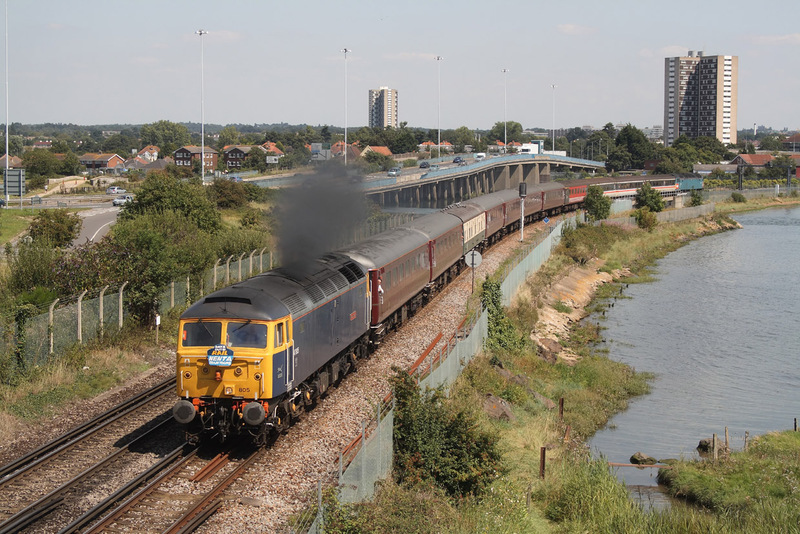 Advenza 47237..5Z70 Laira to Old Oak Common stock move. 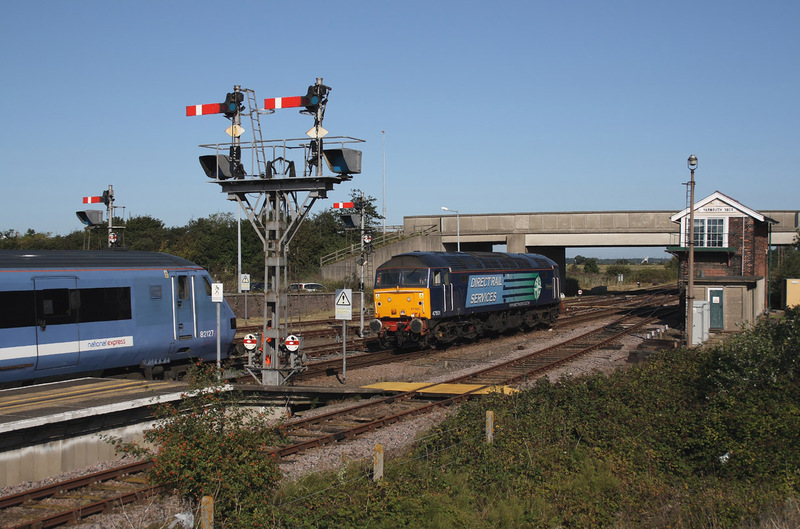 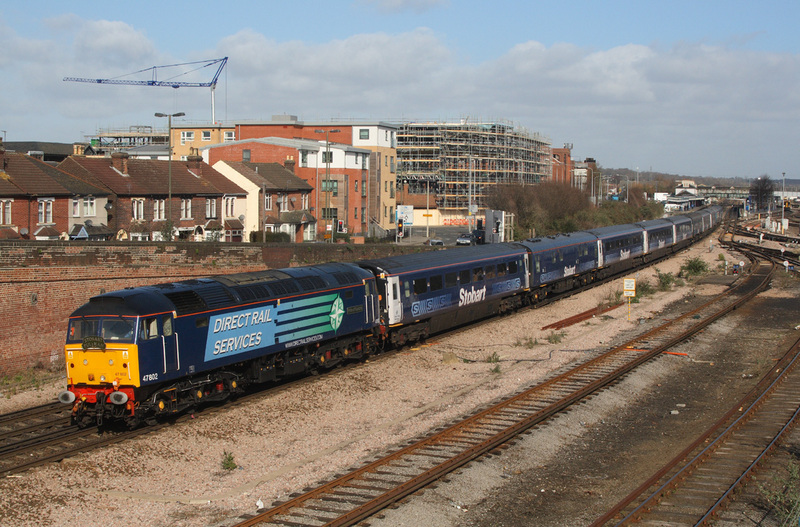 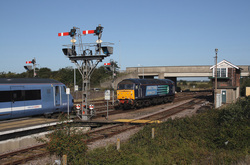 47815..5z91 Derby to Laira stock move. 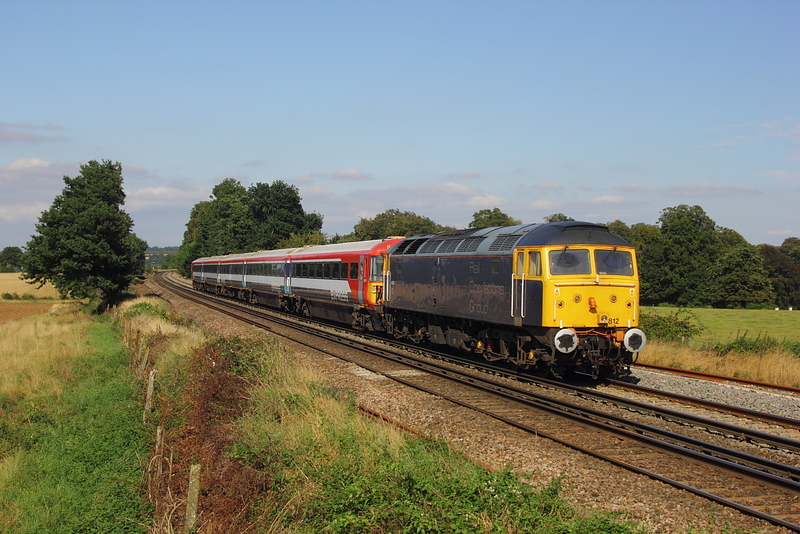 47805 with 47853 tailing on 1Z45 04.50 Norwich to Weymouth.